I was fine with this little guy until he decided to make a home in my drink mug. That’s unacceptable. Note: If anyone knows what this is, I’d love for you to share that knowledge! 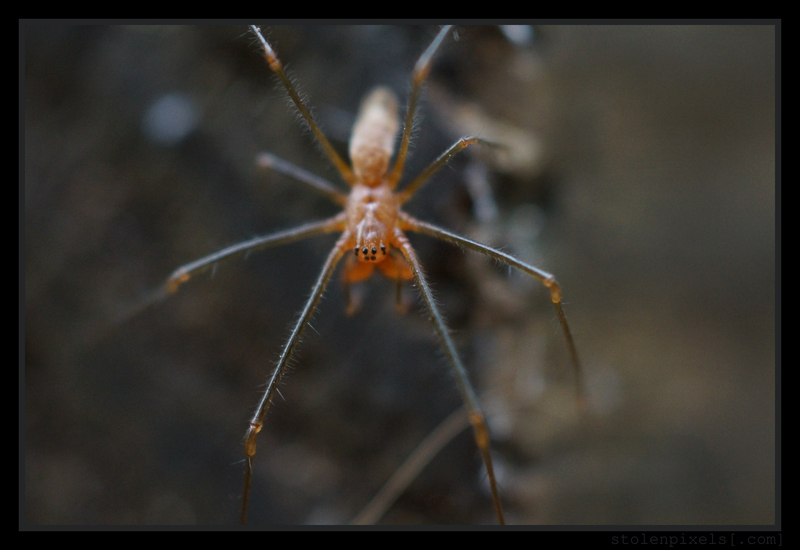 From the eye placement, I’ve narrowed it down to either Family Araneidae or Family Tetragnathidae, genus Tetragnatha. 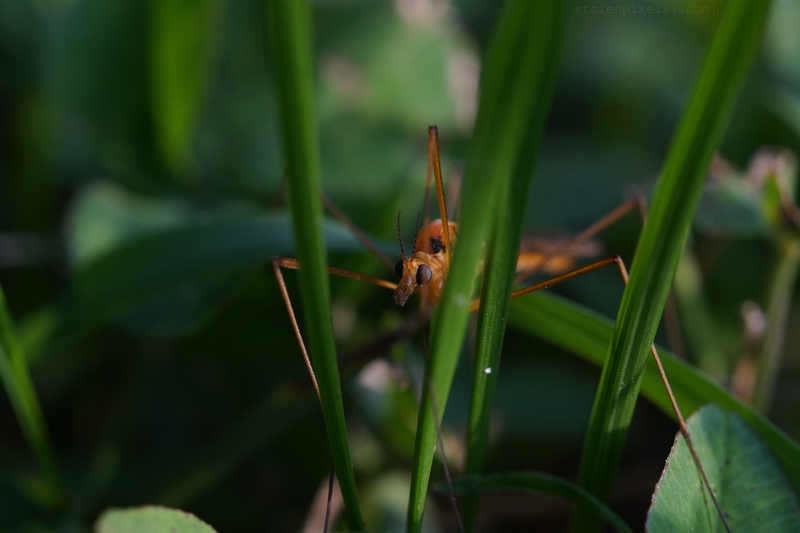 Categories: Nature, Outdoors, Photography, Photomacrography | Tags: Bugs, Camping, Macro, Nature, Outdoors, Photography, Photomacrography, Spider, Tiny | Permalink. 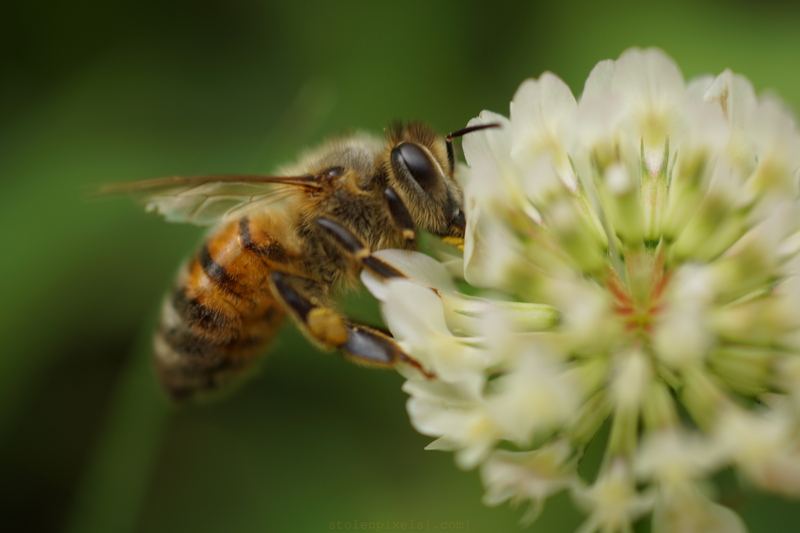 So, I received and finished working on my new favorite lens, a Minolta 50mm 2.8 Macro. When I got it, it was in perfect condition, except the focus was extremely tight. After some tinkering and some nerve-wracking dremel work, I managed to get the focus ring straightened out and everything works great now! 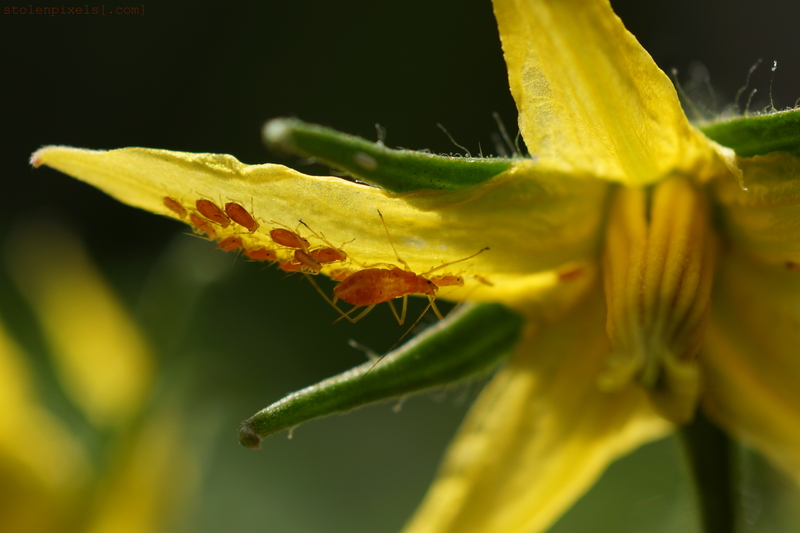 These are some aphids that were residing on the tomato blossoms out back. For scale, that petal is about 1/2″ long. Categories: Nature, Outdoors | Tags: Blossoms, Bugs, Flowers, Macro, Petal, Photography, Photomacrography, Tomato, Vegetables | Permalink.